This phrase is what Israeli kids grow up with; this is what I grew up with. I don’t remember a single day in my life that one of my family members wasn’t wearing a uniform, IDF or police. Most days it was even two or three of us. As a kid I didn’t fully understand the risks of enlisting in the IDF. Every Yom Hazikaron there was a nice ceremony in my school. We had a special program in my youth movement, the Israeli TV had a special broadcast running all day long, and we heard the siren going on twice in 24 hours. I always knew that my parents had lost some of their close friends, but I never really understood that one day it could be someone I know. The first time I felt this pain was when I was 20 years old. 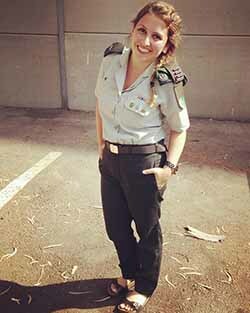 My cousin, May, was one year younger than me, just 19 years old, when she decided to take her own life while serving in the IDF. She had a military funeral with three-volley salute – three horrifying gun shots that ripped out my heart. The soldiers that decide to take their own life are designated as “fallen soldiers” even though they didn’t lose their life in a war or by a terrorist. They took their own life because they couldn’t handle the weight on their shoulders. Ever since May died, I visited her grave every Yom Hazikaron for the special ceremony for fallen soldiers while wearing my uniform. Every year I visited, I saw another family standing next to their son’s or daughter’s fresh grave. 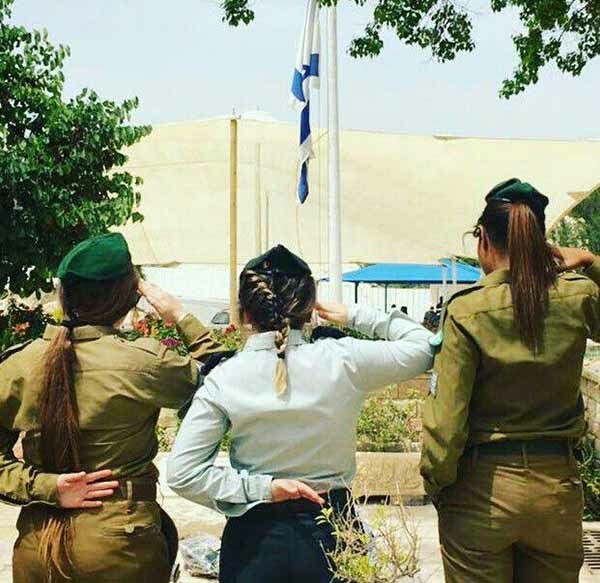 Every year, my aunt used to look at me wearing that IDF officer uniform and say, “how different are the paths that May and you have chosen?” Being an officer obligates me to salute while the siren sounds and for the Israeli national anthem, Hatikva. It was hard for me to stand straight next to May’s grave and salute for the duration of the siren when everyone around me is crying. It’s hard, but I understand I’m saluting May and the rest of the kids that are buried next to her, letting them know we’re here, remembering them and their lives, and honoring the struggles they dealt with. This year will be the first year I won’t be wearing my uniform after eight years of service. This year I won’t be standing next to May, saluting her. I will be here, commemorating her and my friends that have lost their lives with you – Jewish Cleveland. It will be hard to not hear the siren and not to be there with my family. This is why I brought Ratzim Lezichram ("Running in their memory"), a run/walk that brings people together from across Israel – and now Cleveland – to remember our heroes that have lost their lives while serving and building the State of Israel. Ratzim Lezichram is a new way that young adults can take an active part in commemorating these soldiers. I truly hope you’ll be at Ratzim Lezichram on May 8 and also join me at the Yom Hazikaron ceremony on May 7 to remember that we are the people that build a military that build a nation, no matter where we are in the world.